Cisco's ambition is to transform itself from being the top communications provider to the top information technology provider, said John Chambers, speaking at the Cisco Financial Analyst Conference Day in New York. The biggest growth opportunity for Cisco is in providing complete architectural solutions for intelligent IP networks that meet business requirements. Chambers said the communications industry is at a strategic inflection point and that Cisco is uniquely positioned for unifying the network, compute and storage. 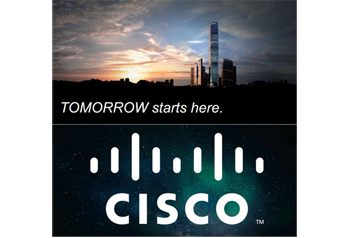 *On Monday, Cisco is launching a new marketing campaign along the theme "Tomorrow Starts Here". The new positioning refers to the goal of becoming the world's top IT player. * The era of client-server is over.... it's more about mobile + cloud going forward. It's more about selling solutions than selling boxes. * Out of the company's 28,000 engineers, 25,000 are software engineers. * Cisco believes it can hold gross margins steady as it makes this transition. The long-term growth forecast remains in the 5-7% range per year. *Being in the data center helps "pull through" the communications portfolio. *Cisco began making its bets in this area 3-5 years ago. Cisco is right in the middle of of key changes in Intelligent Networks. * Cisco's key strategy remains to Build-Buy-Partner. * Cisco has the mentality of always being No.1 or No. 2 in every market it competes in. Cisco must target 40% of every market you enter, or, at a minimum, 20%. * Cisco has been successful in choosing the best partners. Huawei has not been successful in attracting the best partners. * Cisco has an ability to know when to stay the course in a product line and to know when to adjust or when to reinvent yourself. * Compute, storage, networking and applications will be distributed to every device. 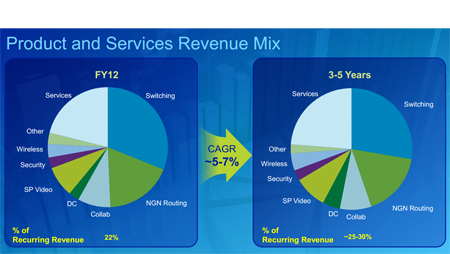 * Cisco's Services have grown consistently for ten years at a 12% rate while maintaining 65% gross margins. * Most sales in the future will be highly integrated with Services. * Over the next few years, Services will grow from 20% to 25% of Cisco's overall business with a target of 30%. * Cisco will base its Intelligent IP Network on ASICS + Hardware + Sofware + Services. * Cisco believes it is winning the data center fabric race. * The list of competitors and start-up is always long, but most of the names from 5 years ago have fallen by the wayside. Cisco believes it has blown past Avaya, Dell, HP, Juniper and Huawei this year. 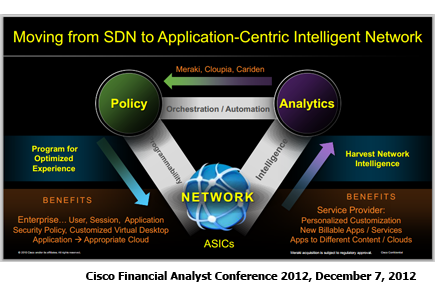 Cisco success is due to its ability to anticipate market transitions. * Looking out beyond the five year horizon, Cisco sees the "Internet of Everything" as the Big Play. * ASIC innovation gives the company strategic differentiation, flexibility and time to market. In the data center, Cisco's ASIC give it an advantage in low latency. 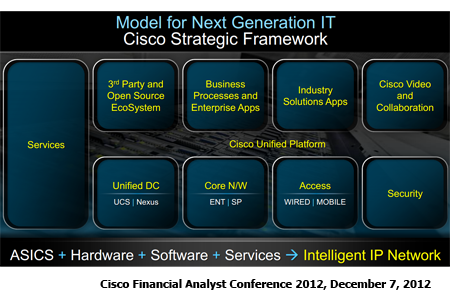 * Over the next 15 months, Cisco will release between 6 and 8 product groups based on new ASICS. One of the new ASICS will have over 4 billion transistors. * Cisco Nexus is in nine of the top ten massively scalable data centers. * Every element in the network will have intelligence and storage. * Nine of the ten last acquisitions by Cisco have been cloud or software plays. The full webcast is online. The four leading mobile operators agreed to voluntarily offer their subscribers text-based emergency communication services, in accordance with the Alliance for Telecommunications Industry Solutions (ATIS) industry standard solution (currently expected to be completed in the first quarter of 2013), to requesting public safety answering points (PSAPs). Participating carriers include AT&T, Verizon, Sprint, T-Mobile. may choose to implement such a service prior to that date. 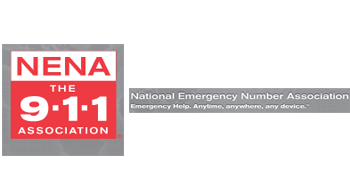 by customers to send text messages to 9-1-1.
message by June 30, 2013. PT Telekomunikasi Indonesia has selected Cisco for the deployment of 100,000 access points across Indonesia to offload mobile data from the macro cellular network, as well as to offer more convenient mobile broadband services in malls, hotels, schools, hotspots and public areas. 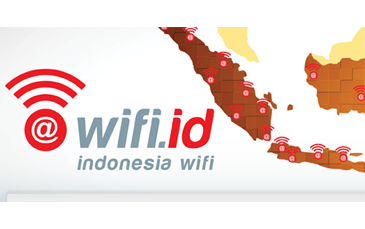 The companies described the Wi-Fi rollout as the largest such project in Asia. Deployment is underway. Financial terms were not disclosed. PT Telekom is looking to both licensed and unlicensed (Wi-Fi) small cells to managing the rapid growth in wireless demand. The Cisco Visual Networking Index also predicts that mobile data traffic in Indonesia is expected to grow 32 times from 2011 to 2016, with an average per user consumption at 716 megabytes of mobile data traffic per month in 2016, a staggering 2,387 per cent increase from 30 megabytes per month in 2011. PT Telkom has 8.6 million fixed wire-line customers, 14.2 million fixed wireless customers and 107 million cellular customers. Cisco, DC Thomson and University College London are teaming up to found a new Innovation and Digital Enterprise Alliance (IDEA) to better support Tech City in East London and the contribution of digital enterprise to the UK economy. Tech City, which aims to host around 25 digital and media start-up companies, represents over £3.5m of investment by the three partners over the first three years of operation, with additional investment in individual businesses. The UK government has committed £50m to regenerate the Old Street roundabout into Europe’s largest indoor civic space, dedicated to start-ups and entrepreneurs in East London. 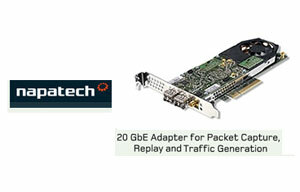 Napatech, which provides intelligent adapters for network monitoring and analysis, has achieved 100 Gbps throughput on a Dell PowerEdge R720 rack server. 10 ports of 10 Gbps traffic was generated and captured using a packet capture application. Napatech said the test was run over several hours without the loss of a single packet. The PowerEdge R720 set-up could be used by OEM vendors of network appliances to analyze up to 10 ports at speeds of 10 Gbps. Egenera, which provides physical, virtual and cloud management, has acquired Fort Technologies, a cloud lifecycle software provider based in Dublin, Ireland. Fort’s cloud management capabilities will be added to Egenera's PAN Cloud Director software for enterprises. The deal also expands Egenera’s sales footprint, partner network and customer base in EMEA. Financial terms were not disclosed. “The acquisition allows us to help our customers move to the cloud faster and create more enterprise-class, resilient and secure clouds,” said Pete Manca, CEO of Egenera. "Fort Technologies’ distinctive approach to cloud management turns the design, deployment and management of IT services into a simple drag and drop exercise. This enables service providers and enterprises alike to grow and succeed in the cloud."